Today I really short post for you with my look from last weekend. I wear fluor pink top and white shorts with gold buttons from Mango, Louis Vuitton bag model Monogram Canvas Speedy 30' and peacock feather necklace, gift from my friends:-). Check the photos below, I hope you like the look! And for those that that would like to know something more about LV. Louis Vuitton brand has been synonymous with fashion and high-end products since he introduced it in 1853 at Rue Neuve des Capucines in Paris and it’s now among the world's most valuable brands. Louis Vuitton became himself famous by making high-end and stunning traveling cases for the French aristocracy. Since then each one is made by hand during up to 60 hours, with an unique serial number. Its graphic symbols, including quatrefoils and flowers (as well as the LV monogram), were based on the trend of using Japanese and Oriental designs in the late Victorian era. In the past 150 years of its existence, the line has grown to include clothing, handbags and jewelry for men and women. 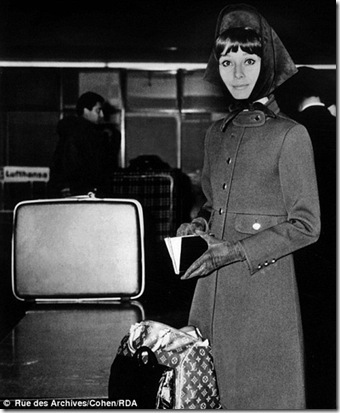 The Speedy bag has been a best seller for last forty years. This is a smaller version of the signature Keepall, bag invented by Georges Vuitton, the son of Louis Vuitton in 1930 for travel needs of the elite. The brand immediately evoked prominence and wealth, and became so popular that Georges introduced a smaller bag for everyday city use a couple of years later. It would be named Express and then changed to Speedy. It was inspired from the rapid development of modern transportation. 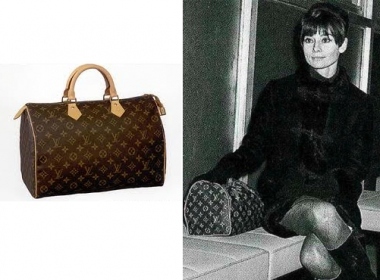 The Speedy has become popular over the years, but started to be desired by everyone after 1965, when on the request of Audrey Hepburn, Louis Vuitton customized for her a smaller version of Speedy, called yet Speedy 25’ and she was taking it everywhere with her. 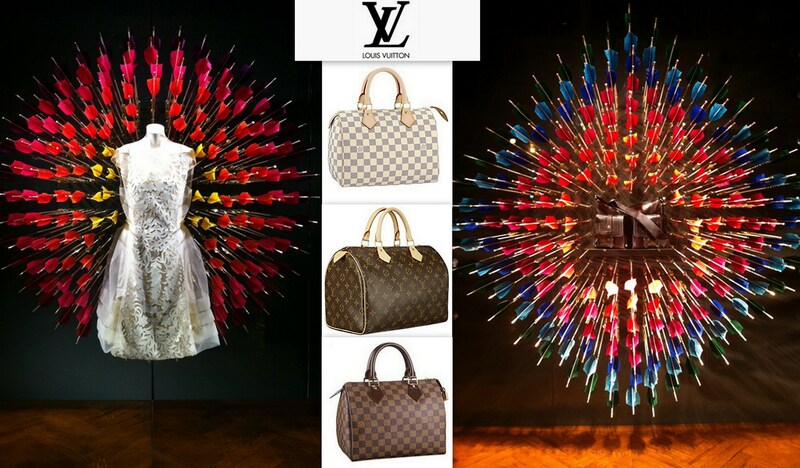 Since then, Louis Vuitton has launched a wide range of Speedy bags of varied sizes for different functions. 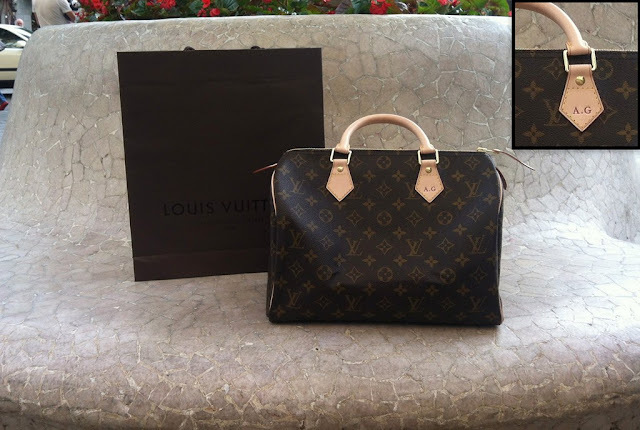 Dzisiaj chciałabym sie z Wami podzielić się pięknym prezentem, który sprawił mi na urodziny mój kochany mąż – torebka Louis Vuitton Monogram Canvas model Speedy 30 'z moimi inicjalami! Po prostu sie w niej zakochalam! W dzisiejszym poscie zalozylam do niej bluzke we fluorystycznym różu i białe szorty z Mango, do kompletu dodalam naszyjnik z piór pawia, present urodzinowy od kolezanek. Zapraszam wiec do obejrzenia zdjec ponizej! A dla tych, którzy chcialiby dowiedzieć coś czegos więcej o LV zapraszam do lektury... Marka Louis Vuitton jest synonimem mody i produktów wysokiej klasy, zostala stworzona na Rue Neuve des Capucines w Paryżu w 1853 roku i jest teraz wśród najbardziej wartościowych światowych marek. Louis Vuitton stał się sławny dzieki stworzeniu wysokiej klasy walizek dla francuskiej arystokracji. Az do dzis każda z nich jest wykonywana ręcznie, w niektórych przypadkach nawet przez 60 godzin, i ma swój unikalny numer seryjny. Symbole graficzne, pojawiajace sie na torebkach zostały zainspirowne trendem korzystania z japońskich i orientalnych wzorów pod koniec epoki wiktoriańskiej. W ciągu ostatnich 150 lat swojego istnienia linii wzrosła w ubrania, torebki i biżuterię dla kobiet i mężczyzn. Torebka Speedy, najslawniejszy model LV jest bestsellerem od ponad czterdziestu lat. Jest to mniejsza wersja torby Keepall, stworzonej przez Georges Vuitton, syna Louis Vuitton w 1930 roku dla potrzeb elity związanych z podróżą. Keepall jak tylko pojawil sie na rynku natychmiast wywołał rozgłos i stal sie symbolem luksusu. Z tego powodu Georges zainspirowany szybkim rozwojem transportu stworzyl torebke Express, następnie zmienioną na Speedy na potrzeby codziennego użytku w miescie. Speedy szybko stała się popularna, ale zaczeła być pragnieniem wszystkich po 1965, kiedy to na prosbe Audrey Hepburn, Louis Vuitton stworzyl specjalnie dla niej mniejszą wersję Speedy - Speedy 25 ' i aktorka zaczela ją zabierac wszedzie ze soba. Od tego czasu, Louis Vuitton gama Speedy wciąz rosnie. Hoy me gustaría compartir con vosotros mi look de ultimo fin de semana. Llevo con top en rosa flúor y shorts blancos ambos de Mango, bolso de Louis Vuitton Monogram Canvas modelo Speedy 30' y collar de plumas de pavo real, regalo de cumpleaños de mis amigas:-). Os invito a ver fotos abajo y espero que os gusta este outfit! Y para los que les gustaría saber algo más acerca de LV... Marca Louis Vuitton ha sido sinónimo de productos de moda y de alta calidad desde que se introdujo en 1853 en la Rue Neuve des Capucines, en París y ahora está entre las marcas más valiosas del mundo. Louis Vuitton se hizo famoso por crear unas maletas de gama alta para la aristocracia francesa. Desde entonces hasta día de hoy cada una tiene un número de serie único y se hace a mano, algunas hasta 60 horas. Sus símbolos gráficos, incluyendo cuadrifolios y flores (así como el monograma LV), se basaron en la tendencia la época victoriana de usar los diseños japoneses y orientales. En los últimos 150 años de su existencia, la línea ha crecido hasta incluir ropa, bolsos y joyas para hombres y mujeres. El bolso Speedy ha sido un bestseller en los últimos cuarenta años. Esta una versión más pequeña del Keepall, famoso bolso inventado por Georges Vuitton, hijo de Louis Vuitton en 1930 para las necesidades de viaje de la élite. Este modelo inmediato empezó ser el simbolo del estatus y de la riqueza, y se hizo tan popular que Georges introdujo otro bolso más pequeño adecuado para uso cotidiano en la ciudad. En principio llamado Express luego se cambió a Speedy fue inspirado por el rápido desarrollo del transporte moderno. El Speedy se hizo muy popular, pero comenzó a ser un deseo de todo mundo a partir de 1965, cuando Audrey Hepburn solicitó a Louis Vuitton una versión personalizada más pequeña de Speedy, llamada hoy Speedy 25 '. Desde entonces, Louis Vuitton ha lanzado una amplia gama de bolsos de Speedy de diversos tamaños para diferentes funciones. Audrey Hepburn and created for her Speedy 25'. Window display at Louis Vuitton shop in Barcelona and Monogram and Damier Speedy LV Bag. And here is my beauty!!! / A tutaj moje slicznosci! / Y aqui mi tesoro! Check how famous rock their Speedy! Zobacz slawy z ich torebka Speedy! Mira las celebridades con su Speedy! Specjalnie nie przepadam za tego rodzaju torebkami, ale podoba mi się Twoja letnia i świeża stylizacja. Your outfit is amazing!!! I love the silver sandals even more than the bag!!! wooo!! congratulations^^ so so pretty and classic. Love how you wore it too.. lv always looks so good with pink in the summer and i love that necklace too! me encanta el look y ese top fucsia te sienta fenomenal. Very cute look! Your Speedy is fabulous. What a great husband you have!!! I enjoyed reading the history of Louis Vuitton. The creations are so classic so they will never go out of style. Congrats on your first Louis! I got my first (and only) last year too. I hope to expand my collection as time goes on :). Wonderful outfit and bag! I love it. Qué lindo bolso, me encanta tu top neon! Menudo regalazo!! Me encanta la camiseta que llevas. ah, you look super cute!!! i looooove the whole outfit. and of course, your bag is beautiful. You look so cute! And that L.V.Bag is a classic!! thank you so much for your lovely comment! your blog is beautiful and I love this whole outfit! You look lovely in this outfit, your bag is perfect!!! This is a great post! You look great and your blog is nice too!